Viva!City is a brand new outdoor summer festival coming to Bristol College Green and City Hall on Saturday 14th July! Outside there will be music, plant based hot and cold food and ethical fashion gifts! Inside City Hall will be even more stalls plus informative talks on ethical and green living, cookery demonstrations and free yoga classes! 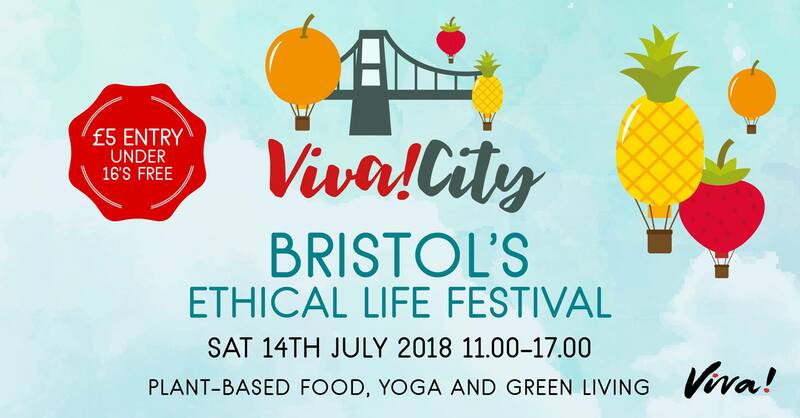 Come and learn all the best elements of following a green, ethical and plant based lifestyle…there’s something for everyone at this family friendly event, just £5 entry and under 16’s go free.